a) From the South/West. Follow the N25, South Ring Road, in the direction of the Jack Lynch Tunnel. Take the exit for Blackrock/Mahon. Turn left at first set of traffic lights. From there, go straight on at the next set of lights (Mahon Point Shopping Centre junction). Follow the road for approx. 1 km until you come to the next crossroads with a set of traffic lights. The CSO office will be on your right. Turn left here. 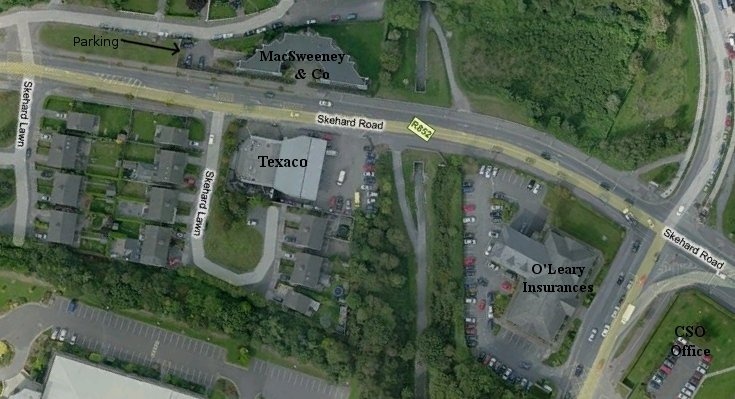 We are located on your right across the road from the Maxol service station. Take the next right. Parking is available at the rear of the building.